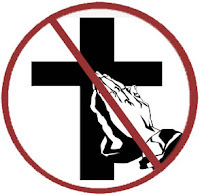 A federal judge ordered Rowan County, North Carolina to end their tradition of opening government meetings with a prayer … well, at least a prayer to Jesus. Judge James A. Beaty Jr. issued a preliminary injunction on Tuesday July 23, 2013. "Opening government meetings with prayers that are specific to only one religion not only alienates people of different beliefs but also clearly violates the Constitution's protection of religious liberty," according to a representative from The American Civil Liberties Union (ACLU). In March of 2013, the American Civil Liberties Union, along with a state chapter of the ACLU, filed a lawsuit on behalf of three Rowan County residents demanding that the board of commissioners stop its practice of opening government meetings with prayers that were specific to one religion. The organization accused the board of "violating the First Amendment provision ordaining the separation of church and state" (something that isn't actually in the 1st amendment).